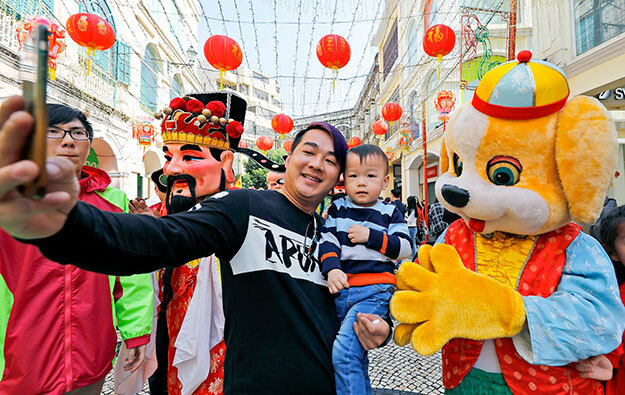 Macau’s visitor tally in the seven days of the Chinese New Year holiday – between February 15 and 21 – rose by 6.5 percent year-on-year to 963,265, according to the latest figures reported by the Macao Government Tourism Office (MGTO). The first day of the current Chinese New Year fell on February 16 (Friday). While the holiday is calculated based on a lunar calendar and the dates vary from year to year, the latest data provided by MGTO is judged compared to the equivalent Chinese New Year period in 2017. Visitors from mainland China represented 74.3 percent of the arrivals in the period from February 15 to 21, reaching 716,041. That represented an increase of 12.3 percent compared to the equivalent period a year earlier. The peak of visitor arrivals to Macau during Chinese New Year holiday period was recorded on February 18, the third day of the festive period, reaching 185,563. 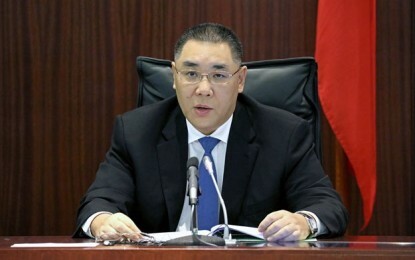 According to the data from the tourism bureau, the year-on-year growth in arrivals was more significant in the first four days of the Chinese New Year, with an average growth rate of 9.4 percent, compared to a 2.8 percent increase and a 1.4 percent decline in, respectively, the last two days of the holiday period. Despite the decline recorded in the overall number of visitor arrivals in the last day of the holiday period, the tally of mainland tourists visiting Macau rose by 1.2 percent year-on-year.